I haven’t run in almost two weeks. Two days after the half marathon I set out for a short run and was met with pain in the left shin again. I decided to rest it indefinitely until it feels healed and I can run with no pain or discomfort. I have been doing a lot of strength training and elliptical for cardio, but truth be told I’m miserable. As the weather improves around here I just want to run. I feel so much more productive when I’m running. My mind is clearer and my mood is calmer. I’m trying to make the best of it though. What do I do when I can’t run? I think about running and I sign up for races. The race I signed up for today is going to be one of the most fun and most special races I’ve ever done. Carlos and I will be running our first 5K together in Boston on July 26th. We are the running duo of team Four Feet Fast (Carlos made it up!) in the Boston Color Me Rad 5K!! If you haven’t heard about the Color Me Rad races check out the link and watch one of the videos on the site. It is guaranteed to be a blast…of color. We will be donning our whitest t-shirts at the start and by the end we will be more tie dyed than a Grateful Dead concert. We actually have an action packed weekend that weekend of the race. The day before we are going to see the live show How to Train Your Dragon based on the movie. It sounds wild with 23 flying, fire-shooting, smoke-breathing dragons. I get to experience some very cool things alongside Carlos. Things I never realized I would enjoy until he came into my life. With that said I’ve got some jumping to do! 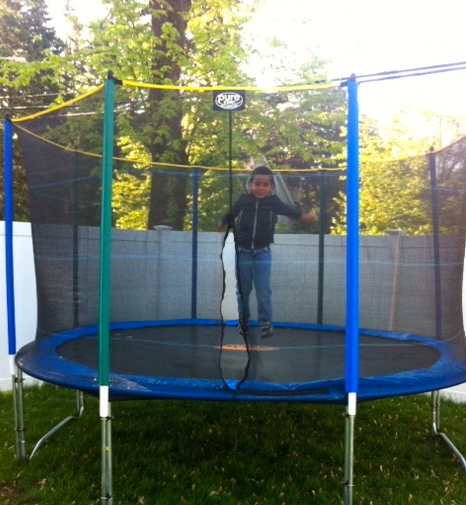 Orlando finally got Carlos’ birthday present from December assembled in the yard. 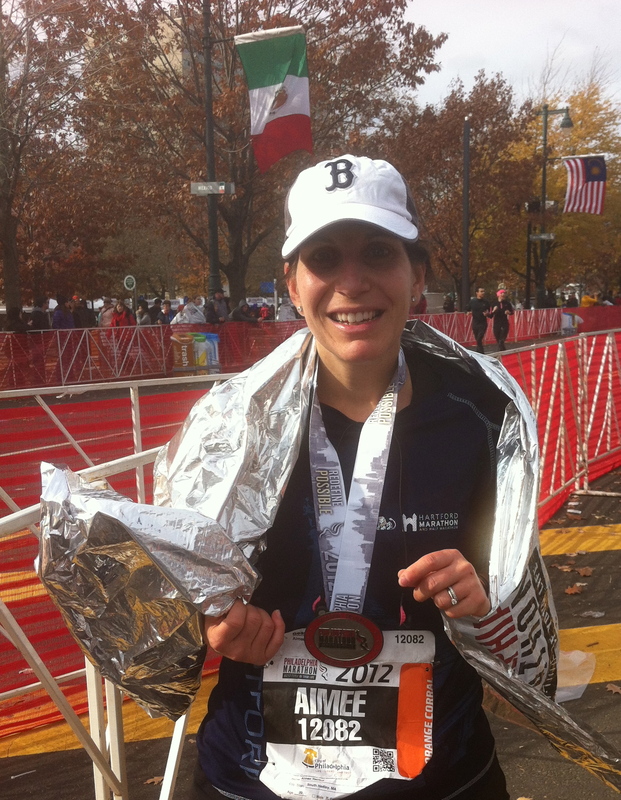 we will definitely have to meet up at the Boston race! Hopefully your leg will feel better soon. The weather has been gorgeous out lately and I’m sure you will feel so much better when you are out running again. Thanks Kaye. I thought it was a cute name too. I’m definitely on the mend and looking forward to enjoying the sunshine this week. They have them all over Sam. It does look like a lot of fun. It’s crazy the things you start to enjoy when you have kids! I have heard of the Color Me Rad races and they just had one in my home town where I got to see tons of friends and family in pictures through facebook. Looks like so much fun! Maybe one day I’ll do one too! I’m looking forward to running a fun race, no time clock or pressure to beat my last time. I bet you will run one sooner than you think. SO cool. I love your team name. Sending happy thoughts and healing thoughts your way in regards to your shin pain – I know the frustration of not being able to run…argh! Thanks so much Errign. I know you understand. That race sounds like fun, and so does the trampoline! I hope your shin starts to feel better …. and I do love your team name! So cool! I missed the Dallas Color Run, it was too close to my spring marathon, but everyone I knew who ran it had fun. I just wanted to say that some of my fondest childhood memories were on the trampoline, jumping with brothers and friends. What a fun gift! I will be sure to post a recap. I think we are going to have a great time.